The Sunday called Sexagesima by T.H. Curran from COMMON PRAYER, Volume Six: Parochial Homilies for the Eucharist Based on the Lectionary of the Book of Common Prayer, 1962, Canada. St. Peter Publications Inc. Charlottetown, PEI, Canada. Reprinted with permission of the publisher. This morning we celebrate Sexagesima, that is the eighth Sunday before Easter and we are between the Church’s season of Epiphany and the season of Lent. The propers and lessons appointed for these Sundays “in-between” — last Sunday was Septuagesima and next Sunday will be Quinquagesima (the fiftieth day before Easter) —make the transition from the one season to the other. The propers and lessons appointed have the effect of focusing our devotion and our reflection both on what has already been accomplished and at the same time on what still remains to be done. We have just come out of the season of Epiphany, a season which follows both the birth of our Saviour at Christmas and the prophecies which foretold the coming of the Messiah. St. John the Baptist prepared us for his coming by citing the exhortation of the prophet Isaiah to “Make straight the way of the Lord.” (John 1.23; Fourth Sunday in Advent). The season of Epiphany, which followed the Lord’s coming, is the season in which this Saviour was manifested to the Gentiles —in other words, he was manifested to us. He was to be the Messiah not only for the Jews but had come to save all men, Jew and Gentile alike. And yet in another way the drama was only beginning because, as St. Paul goes on to say in his Epistle to the Philippians, it yet remained for the earthly Jesus, to continue to humble himself and to become “obedient unto death, even the death of the cross” (Philippians 2.8; Palm Sunday). And as the drama was only beginning for Jesus, who had still the greatest trial and humiliation before Him, so too the drama is just beginning for us. These questions are not idle; they go to the very core of our lives and our time here on earth. I am sure that every one of us prays that he could at the last be compared to that “good and faithful servant,” who, when given five talents by his master, returned him five talents more. (Matthew 25.20-21) But this outcome cannot be taken for granted; the judgement can only come at our life’s end, and each of us is engaged in bringing “forth fruit with patience” each and every day of our lives. Some days are obviously better than others; some days we feel that we are making progress, but then at other times we enter long dry spells when nothing proceeds according to our intentions. 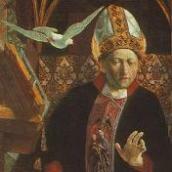 It is these grave considerations which impel the Church to set aside forty days every year so that we may assess anew how we have appropriated and are appropriating that truth which has become manifest We must examine how much we have absorbed the truth which we have heard, seen and handled. In these forty days and nights we are about to go through, we bring before ourselves once again the days and nights of the great flood, the wandering of Israel in the desert for forty years, and most of all the fasting and temptation of Jesus in the desert. He had to prepare himself for his ministry, for his obedience to the last, and so must we. The road we have to travel is a narrow one. Jesus said “narrow is the way, which leadeth unto life” (Matthew 7.14) and none of us can be too well prepared for the dangers, the pitfalls, the temptations which lie ahead. St. Paul is making the point that God has used his weaknesses to reveal His strength. God is the one who changed the zealous Saul, the persecutor of Christians, into the untiring St. Paul, the Apostle of the Gentiles. (Romans 11.13) St. Paul does not claim the credit for his extraordinary ministry but offers all the credit to God who led him to see the truth and who sustained him in it. May we always seek the glory of him that sent us!